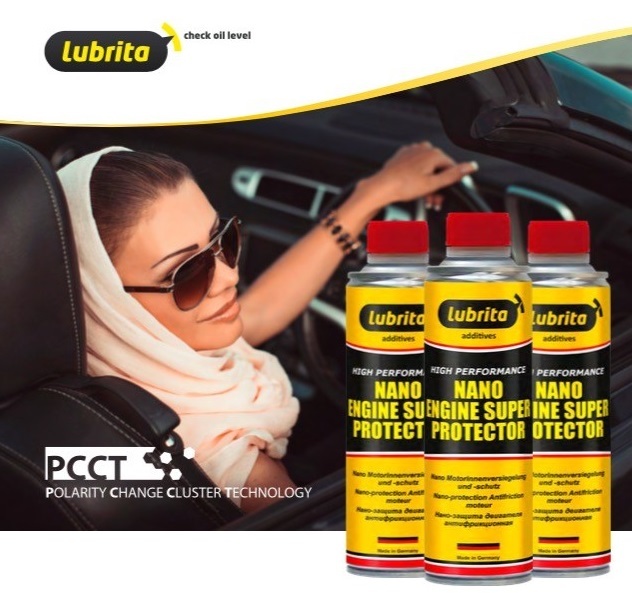 Nano Engine Super Protection creates a highly active nano barrier in the oil which protects all the internal surfaces of engines and equipment such as oil system, manual gearboxes and differentials. Seals, o-rings and shaft seals are kept supple. Improved oil flow during cold start, smoother and quieter engine running, improved performance, extended life of equipment, and excellent “run dry” emergency properties. Service product for use in the oil system of 4-stroke petrol and diesel engines. Applicable for common rail as well as pump injector fuel systems and recommended for engines with turbo charger, catalytic converter and DPF filters. Compatible with all engine oils. Add to oil system after each oil change. We recommend cleaning the oil system with Oil System Cleaner before use. Observe the maximum oil quantity! In power-steering systems, manual transmissions und differentials use at ratio 1:10. Note: When using in vehicles with wet clutch, observe the manufacturer's instructions!